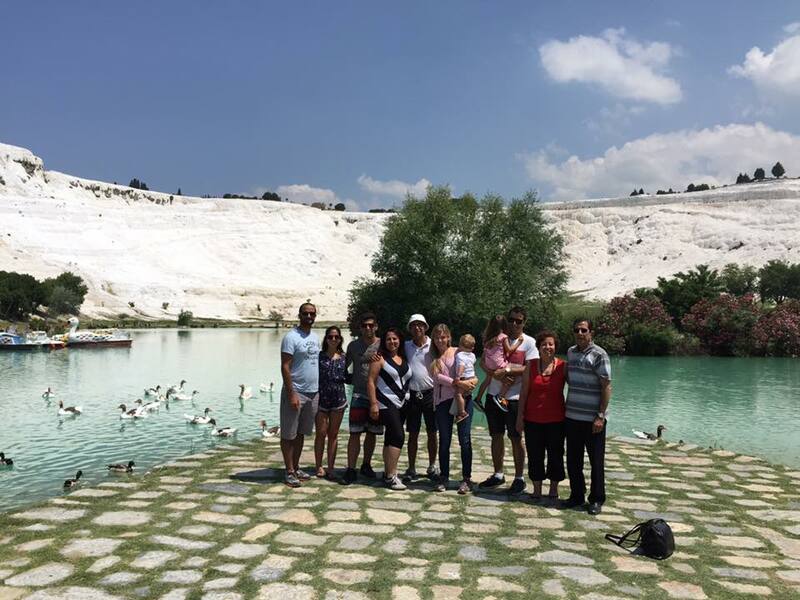 If you want to base yourself in Istanbul, but don’t want to miss out on the chance one of Turkey’s most famous natural wonders, the white travertines of Pamukkale, and the ancient spa town of Hierapolis, then this tour is for you! 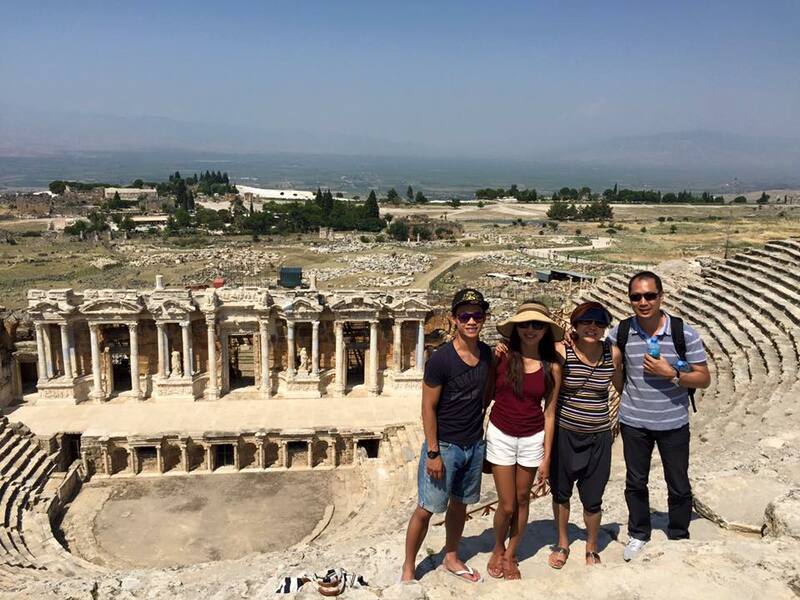 Forget about packing and unpacking, and maximize your precious time in Turkey, with our day trip to Pamukkale by plane! We will pick you up from your Istanbul hotel at approximately 3.00am for your one hour flight to Denizli (in summer this flight departs at 05:40am from Istanbul Airport). 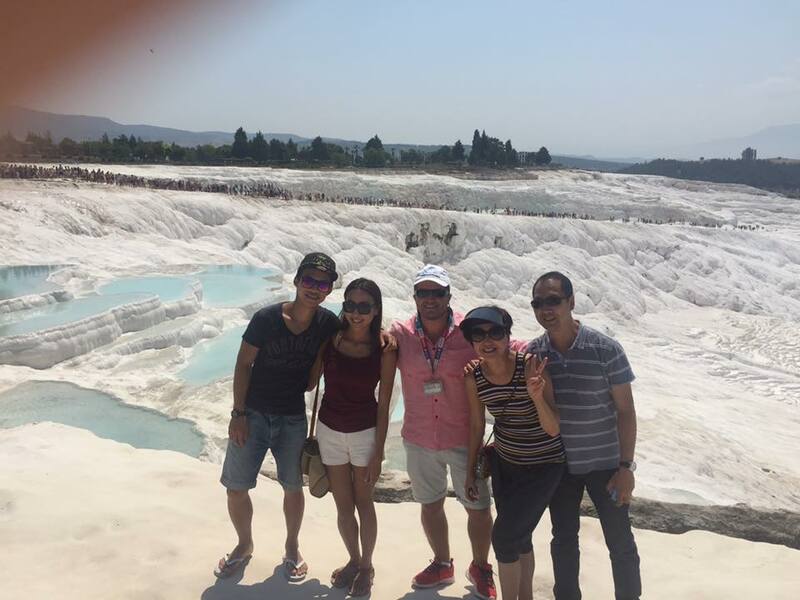 On arrival at Denizli Çardak Airport one of our friendly team will meet you and transfer you to Pamukkale. The drive takes around 50 minutes and you will have a chance to see the countryside. On arrival in Pamukkale you will have a little time to grab a coffee before the tour starts at 9.30am. Your tour starts with a visit to the nearby village of Karahayit where you will visit the red springs, with waters coloured a rusty-red colour because of the high iron content of the water. We then drive to the North gate of the UNESCO World Heritage-listed ancient Roman spa town of Hierapolis, and start our tour. Hierapolis was an important place for healing in Roman times because of the believed therapeutic qualities of its waters. As you wander the ruins with your tour guide, you will see highlights such as the necropolis (graveyard), one of the biggest in the region, with over 1500 graves, the Roman bath, the theatre and the Agora (ancient market). You’ll also hear stories of some of the famous characters from history who visited or lived here including Cleopatra and St Philip, whose tomb is on top of a hill outside the northeastern section of the city walls, and which you will be able to see from a distance. We’ll then take a break at the Cleopatra Antique Pool where the water is a pleasant 36 degrees celsius and filled with invigorating minerals. Here, you have the chance to swim over Roman columns which believed to have fallen into the water during an earthquake. Please note that entrance to the swimming pool is an additional 32TL per person, payable at the site. Your guide will give you free time to paddle in some of the pools as you wander down the hill to Pamukkale’s natural park and lake. You will then meet your tour guide for a late lunch. The tour finishes at approximately 3.30-4.00pm, depending on the size of the group and its interests. You’ll have approximately 30 minutes of free time to wander around the village of Pamukkale before we take you back to the airport at approximately 16:30 for your 19:25 return flight to Istanbul. You will arrive back in Istanbul at approximately 20:40, and be transferred back to your hotel by our driver who will be waiting for you when you arrive. 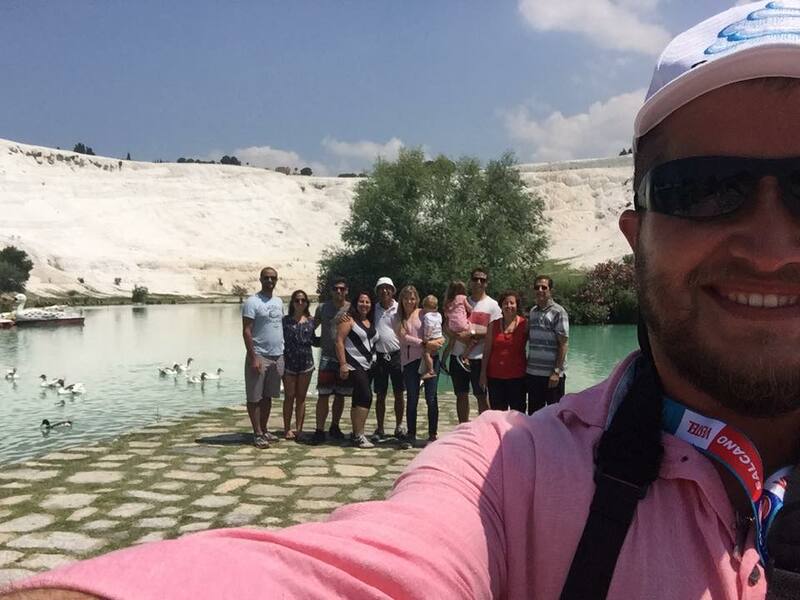 The Pamukkale Day Trip from Istanbul is available every day of the year. Flight times are provided as a guide only, as airlines may change their schedules without notice. This trip is based on daily domestic flights from Istanbul to Denizli, and so is subject to flight availability. The price is subject to change depending on flight costs on your chosen day. We will confirm whether there is any change to your tour price at the time we confirm your booking.